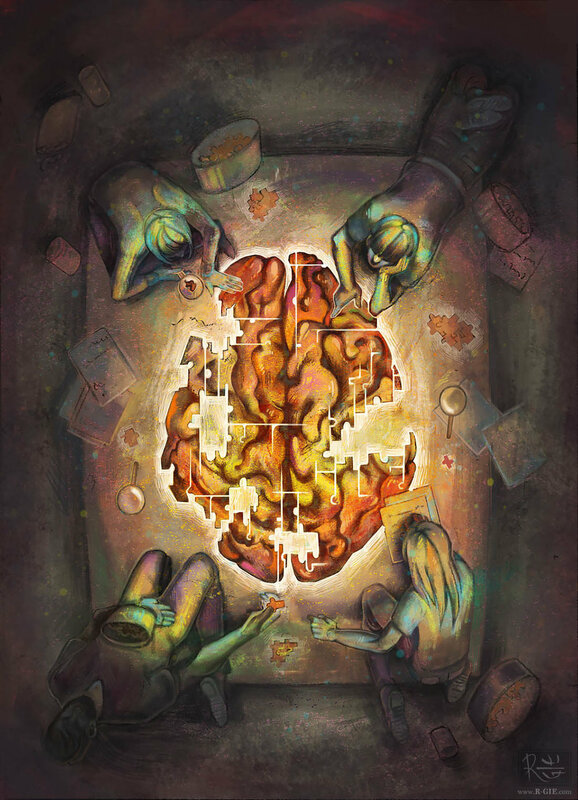 This illustration is inspired by Psych2Go's community which was also featured in their Psych2Go Magazine's 1st Issue. "I've observed members of various Psych2Go Facebook group from their online posts that the wit and wisdom of each community member increases camaraderie — or the spirit of humor and fun. I want to express it in this illustration how they share their views to enhance learning from each other while in the process of creating something big."